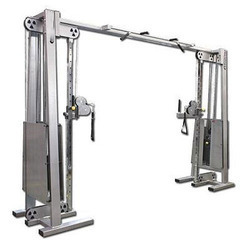 Cable Crossover is extensively used in gyms and fitness centers for adding strength to muscles and ligaments of the body. 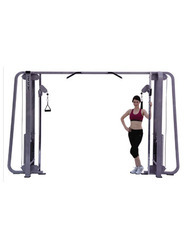 It is a very popular fitness equipment that is well known for its rugged design. Learn tips and techniques for working out the chest, back, shoulders, and arms. Surface Finish: Electrostatic powder coat finish. 1. Structure- Bending frame made in dimensions of 100x50 Square Pipe. 2. Finish - Powder Coating Finish.